Obituary – Platt, William F. « Perry High School Alumni Association, Inc.
Obituary – Platt, William F.
William “Bill” F. Platt was born August 13, 1934 in Orlando, Oklahoma to Joseph and Elizabeth “Gay” (Deadwiley) Platt. 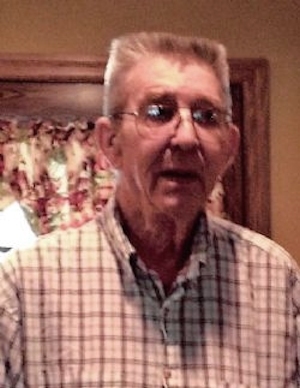 He passed away Tuesday, August 18, 2015 in Perry at the age of 81. Bill proudly served his county with the United States Air Force. He worked on the Air Forces planes for 20 years and retired in 1973. During his service, he married Darlene Pricer in Enid, Oklahoma on June 7, 1958. He enjoyed fishing and watching sports, especially football and baseball. Bill would sit and listen to his country music. Bill is survived by his daughter Kim Kienholz and husband, Glen; a sister, Betty Keith; grandchildren: Ronnie Beier, Jr., Jeffery Kienholz and Shane Kienholz; great-grandchildren: Ryan Beier, Peyton Beier and Presley Beier, and many nieces and nephews. He was preceded in death by his parents; his wife; one daughter, Vicki Platt; one son, Steve Platt; and a brother, Clifford Platt. Visitation will be Thursday and Friday from 8am to 8pm at Brown-Dugger Funeral Home with a family greeting time on Friday from 6pm to 8pm. Funeral services will be 2pm, Saturday, August 22, 2015 at Brown-Dugger Chapel with Pastor Dawn Richards officiating. Interment will follow in Grace Hill Cemetery in Perry, Oklahoma. Memorials may be made to the Wounded Warrior Project or the Cancer Treatment Centers of America in care of Brown-Dugger Funeral Home, 1010 N. 7th, Perry, OK 73077. Condolence may be made online at www.brown-duggerfuneralhome.com.